BRATTLEBORO—Towns in Southeastern Vermont pride themselves on their independence and individuality. These divisions, however, may have halted economic development for the region. According to representatives of Southeastern Vermont Economic Development Strategy and Vital Economy, the goal is to dissolve the silos and build organized redevelopment that fosters prosperity for all. SeVEDS and Vital Economy (VE), which specializes in helping rural areas build sustainable regional economies, presented economic data and suggested strategies to reverse any negative trends during four community meetings in April. The two organizations returned to the four communities — Wilmington, Bellows Falls, Londonderry, and Brattleboro — on June 27 to present information gathered from attendees and focus committees in April, and to discuss the next steps. 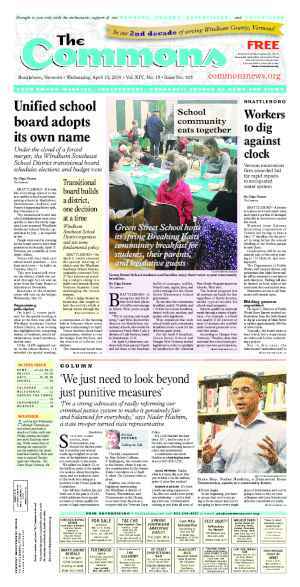 At the Brattleboro Retreat’s Education Conference Room, people from the Brattleboro area commented on the findings. SeVEDS has spent six years identifying economic challenges facing the Windham County in an attempt to pull the county from what they call a 20-year economic slump caused by stagnant population growth, an aging workforce, and a high cost of living. Windham County residents earn thousands of dollars less than their counterparts in the rest of Vermont, and in neighboring counties in Massachusetts and New Hampshire. According to information from VE, as the county ages, the pool of working-aged residents will shrink. 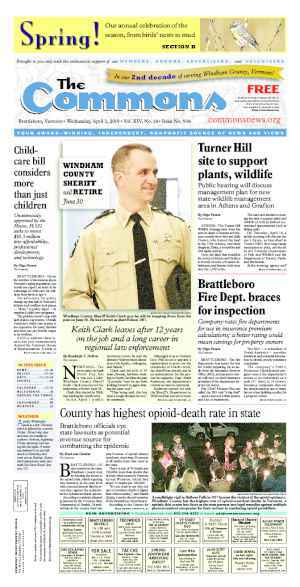 It claims that Windham County faces a likely shortfall of workers and 6,600 lost job opportunities within 20 years. These lost opportunities would translate into $250 million in lost wages, said Mark Madsen of VE, which is developing a Comprehensive Economic Development Strategy (CEDS) plan that is expected to be ready by the fall. The federally recognized planning document results in a five-year economic development strategy, updated annually, that opens the region to federal funding. The U.S. Economic Development Administration (EDA) approves communities’ CEDS plans. Madsen said that audiences in April pushed back against some of the data presented. Some of the audience members said that the data did not apply to them; others said that they moved to the region for non-economic reasons. According to Madsen, the message was that only non-economic data would apply to people acting for non-economic reasons. The “not applicable” comments accounted for about 10 to 15 percent of the overall feedback VE received, said Frank Knott, VE’s founder. Still, these comments needed to be heard, he said. The whole region must embrace the eventual CEDS strategies for them to work. 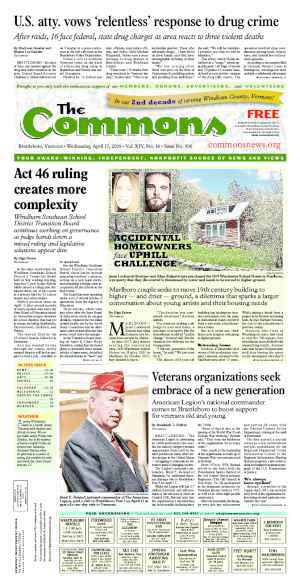 Data show most Windham County residents pay about 50 percent of their wages to housing. A SeVEDS survey of young working professionals aged 25 to 45 received 250 responses. Of those, 66 percent said they planned to be living in the area in five years. But, Madsen said, 65 percent also said that job insecurity could cause them to leave the area. The unmeasurables are “laudatory,” he said. But people live insecure lives. Despite what Knott described as “the adamant uniqueness” of each town in Windham County, common themes rose to the surface in the feedback sessions. Audiences in all four towns pointed to area assets such as quality of place, local farmers’ markets, agriculture, and green energy. Some audience members also dinged what they said they felt lacking in the area, such as a greater number of young professionals, stronger support system for entrepreneurs, wider deployment of broadband Internet, greater wealth of job opportunities, and more robust K-12 education system. 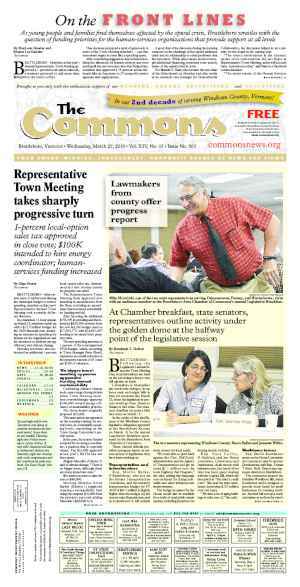 During the April presentations, audience members at the Brattleboro meeting were the most vocal about VE and SeVEDS’ data not representing the reality of the community’s life choices. At the June 27 meeting, vocal audience members held the same course. Robert Oeser spoke of trade-offs, saying that an area can’t retain its sense of place while jamming more people, businesses, and stuff into the area. Dora Bouboulis, former Brattleboro Selectboard member, said that the region has institutions that are not inclusive and not open to new ideas. Ariel Brooks countered some of the push back. She said that she and her husband moved to the area for quality-of-place reasons. But, she added, healthy wages and job market are also important reasons for her to choose a community to live in or move to. Knott said the traditional view of wealth creation carries negative connotations as it traditionally meant the destruction of an area’s quality of life. “Those are not the only two choices. There is a balanced choice,” Knott said. Many communities have balanced the qualities residents hold dear with prosperity; they’re called “livable communities,” he said. “Shared prosperity” is also a goal for the region, he said. Areas where wages are low also demonstrate “the social damage it does to a community,” such as increased drug use, poverty, and abuse within families, said Knott. The country has not had such an uneven distribution of wealth since the eve of the Great Depression in 1929, and that this much wealth separation never ends well, he said. “Just because the data says something doesn’t mean people will believe it,” said Knott. Not all jobs provide the same opportunities. A community can agree to have a Walmart, said Knott. On the surface, swapping tax benefits for the 200 jobs that come with the big box store look good. But, he added, the workers don’t receive health care or a livable wage. Over time, this means less money for the the school lunch program or Medicare, and the “social safety net” is weakened. VE and SeVEDS want to aim for shared prosperity by raising the average wage and improving the quality of life for people living in the bottom 10 percent of the income bracket, said Knott. VE and SeVEDS also identified niche markets with potential for economic growth, the Vermont brand, the arts, green energy and green building, and precision manufacturing among them. Education institutions such as Landmark College, the School for International Training, and Marlboro College could offer intensive trainings in the summer on agriculture and tourism, he added. Part of the CEDS process includes accepting project proposals from the public and private sectors for inclusion in the CEDS plan. Shortlisted projects — five to 10 of them —could receive federal or community resources. According to Assistant Town Manager Patrick Moreland, the CEDS plan is evaluated annually so a project that isn’t shortlisted one year might make the list the next. “There are multiple disconnects across the system,” said Madsen, speaking of the Southeastern Vermont region. VE doesn’t suggest solutions; instead, the organization’s members hope that area residents will take their own economic destiny in hand and build strategies to address the systemic disconnect.